Episode 8 via Season 2 Of Elite Muzik Radio features smooth re-works, edits and remixed track from the likes of Etta Bond, Kaytranada, Miguel Macedo, Cabu, Veeluminati, Gabriel Benn, Wav Daddy, Esta, Jarreau Vandal and more. 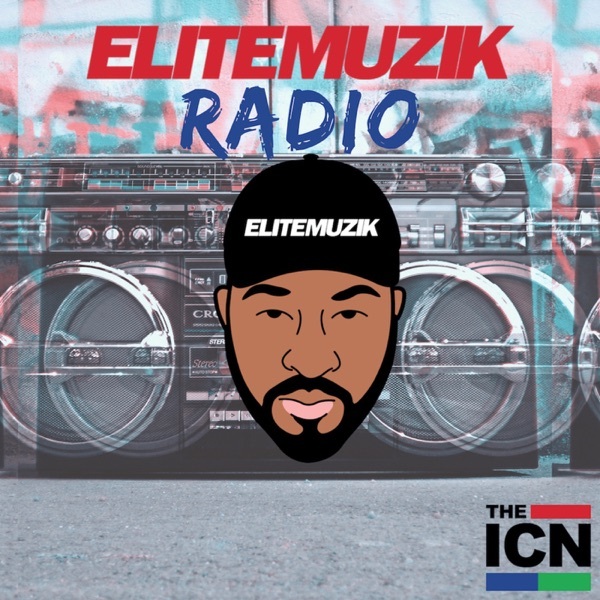 Vibe out to the smooth sounds of Elite Muzik Radio above. Etta Bond - Bad4me (SugaBoy Remix) (0:58) LION BABE - Dont U Worry (3:45) Wav Daddy - papii crush (5:40) Veeluminati - Avery (8:15) Kartell - Forthenight (Edit) (10:17) Lehvi - Pineapple Pool Party (Sango taught me) (13:02) Ross From Friends - Bootman (Cabu bootleg Edit) (15:07) amorphous - supa bazz (17:37) Gabriel Benn - Tuesday Born (Mockingbird) (20:18) Hiatus Kaiyote - Fingerprints (Mo Serious Edit) (23:20) KAYTRANADA - Unreleased/Untitled (26:05) J Dilla - Dreamy (Brabe Cover) (28:07) Zikomo - Got Til It's Gone (Remix) (30:50) Fingalick — Ignition ( Fingalick's Clyde Rerub) (33:06) Miguel Macedo - Spanish Joint (Soulful Mix) (35:30) Zikomo - Terrified (Zikomo Remix) (38:22) Esta - You Are The One (39:44) Grand Puba - Get It (Caspa's 80Eighties Remix) (42:12) Sister Nancy - Bam Bam (Jenovah Remix) (44:58) Jo Def - The One (47:16) Jarreau Vandal - Rooftops (Werk Space Demo) (50:35) Kryone — Sinais de Gangues (54:45) AFTA-1 - Love Suite 2 (Sit Still) (57:10) To Keep up with Elite Muzik Radio, Follow us on Twitter, Instagram and Facebook under @EliteMuzik or @DJEternity on Instagram and Twitter www.elitemuzik.net www.indiecreativenetwork.com Now Streaming on www.elitemuzik.net, iTunes, Google Plat Music, Soundcloud & CASTBOX.Fm under Elite Muzik Radio Send us your feedback online: https://pinecast.com/feedback/elite-muzik-radio/ad81b813-4ded-42af-89e6-83ad04c5c4d6 This podcast is powered by Pinecast. Try Pinecast for free, forever, no credit card required. If you decide to upgrade, use coupon code r-1aea92 for 40% off for 4 months, and support Elite Muzik Radio.